More than 650,000 prisoners are released every year in the U.S., but no federal agency tracks the unemployment rate for this population. Experts say low reading and technological literacy, as well as reluctance among employers to hire former convicts, means many drop out of the labor force altogether. Low employment levels for that group cost between $57 billion and $65 billion annually in lost economic activity, according to a 2010 study by the Center for Economic and Policy Research. But there are a handful of novel initiatives trying to turn that narrative around, by bringing college education and professional training, and even entrepreneurship programs behind bars. Advocates of such programs say by teaching inmates at a higher level, they reduce financial and social costs to society. One that gets a lot of attention is the Bard Prison Initiative. The privately funded college baccalaureate program started in 1999, and now provides college education to more than 300 students in six locations within the New York state prison system. Last year, in addition to education, BPI started a pilot program to pair graduates with employers to give them yearlong professional internships. "We simply look for employers who will treat our alumni like they would anyone else," says Max Kenner, BPI&apos;s founder. But these students are not like everyone else, in many respects. That is clear the moment you try to enter the classrooms at the maximum security Eastern Correctional Facility in Napanoch, N.Y, where BPI runs one of its biggest programs. Getting there means passing through security, two checkpoints and four rolling steel cage doors. Professor Delia Mellis teaches a modern U.S. history class and, when I arrive, 18 men dressed in green jumpsuits are discussing sexual identity politics. "I don&apos;t think he&apos;s saying that; I think he&apos;s making a distinction between it being gay acts — homosexual acts — and it being a gay identity," one student interjects. Mellis responds, "That&apos;s absolutely his central idea, right?" The students appear more engaged than some of the history seminars I remember. And in fact, the syllabus, requirements and professors are no different than they are at Bard College&apos;s main campus, 30 miles away. Glenn Rodriguez is a BPI social studies major in his senior year. An avid reader, he says he still refers back to his notes on cultural anthropology, a class he adored. "We kind of dealt with the notion of ethnocentrism and cultural relativism. ... It shows you how we have a tendency to kind of see people as &apos;other,&apos; " he says, a frame of mind that helped him put his own troubled childhood in context. Rodriguez&apos; parents died in a violent murder-suicide when he was 3. At age, 16 he was convicted of murder before finishing high school. Now 43, his release is scheduled in May. He then plans to finish his senior credits and get his master&apos;s in social work. When he isn&apos;t in class, he says, he&apos;s hitting the books. "The weekends and Tuesdays and Thursdays, I&apos;m locked in the cell reading and studying. ... It never ends, it seems like it never ends," he laughs. "I was always the kind of kid who wanted a challenge, and so this is my approach now." Professor Robert Tynes, who teaches African politics at BPI, says his inmate students all show high levels of motivation. "The close reading, the questions they have are so fine and well thought out that the class just takes off by itself," he says. "It&apos;s great. It&apos;s one of the best teaching experiences I&apos;ve ever had." Bard is exceptional, both in the sense that it is rare, and that in the level of academic rigor it demands. BPI is highly selective; only 10 to 25 percent of applicants are accepted. It was born when drug-related incarcerations rapidly filled prisons, and politics favored those arguing criminals deserved punishment, not education. The 1994 crime bill passed under President Bill Clinton made prisoners ineligible for government education subsidies, effectively eliminating access to college behind bars. Since then, about two dozen college baccalaureate programs have returned in 28 states. Kenner was a Bard undergraduate when he founded BPI. He says the cardinal error many people make is setting limits on what&apos;s possible for prisoners. "If we&apos;re going to provide higher education in unusual circumstances, why assume less of people?" he says. "If we came in and offered something that aspired to less, attrition would be higher and the impact would be lower." The recidivism rate for BPI graduates is 4 percent, compared to averages that run as high as 60 percent. A 2013 RAND Corp. study found providing college education cost far less than housing inmates, because it increased the odds of post-incarceration employment, and reduced the incidence of repeat offenses by 43 percent. Still, employment remains a challenge because of low literacy rates and little familiarity with technology. Many employers shy away from hiring criminals with violent pasts, which includes most BPI students. 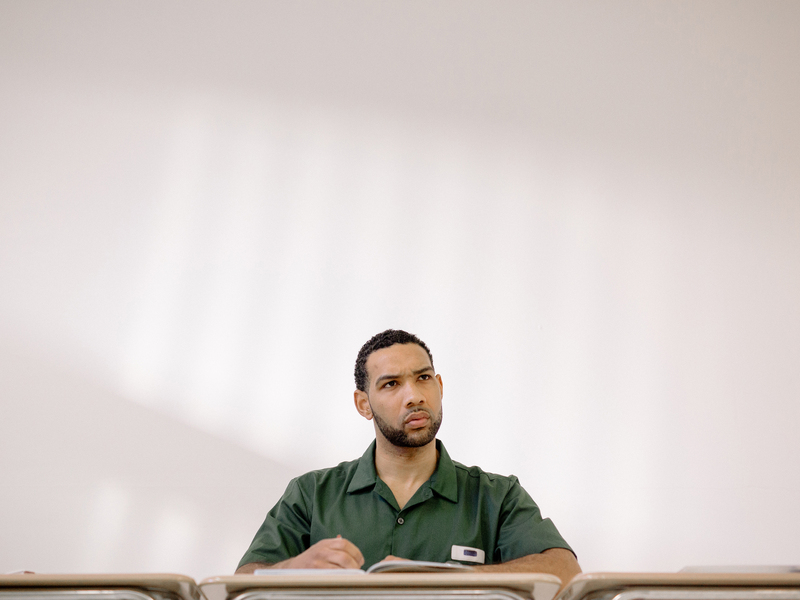 Hiring policies are also starting to destigmatize incarceration. More than 150 cities and counties have laws preventing employers from asking about prior convictions in initial job screenings. President Barack Obama adopted similar policies at federal agencies, and publicly encouraged businesses to hire more former inmates. Joanne Page says she sees that in her work as CEO of The Fortune Society, a nonprofit that provides job training to former inmates. She says the odds are already stacked against prisoners, who are often ineligible for social safety net programs, may have strained family relations and have little to no professional network to fall back on. "What college does is give you better odds," she says. "And it also gives you a skill set and a sense of self that give you better odds also." Increasingly, some conservative scholars agree. "Economically, it doesn&apos;t make sense to keep people incarcerated as long as we have with no great results," says Gerard Robinson, a scholar at the American Enterprise Institute. "Also, the right thing to do is not only give them a second chance, but to also admit the fact that many of them didn&apos;t receive a first chance at school." At Eastern Correctional, Dyjuan Tatro is trying to take as many BPI classes as he can before he is released this summer. Tatro has nothing of a hardened criminal look. His youthful face is framed by a manicured goatee. Inside the bare walls of prison where sounds echo everywhere, you have to lean in to hear his soft-spoken voice. "You know, I wake up in the morning, and I don&apos;t say to myself, &apos;I&apos;m in prison,&apos; " he says. "I try to think of it like I&apos;m in college. And you can&apos;t entirely separate the two out, but it&apos;s healthier to think about it that way. It gives you meaning and it gives you purpose." 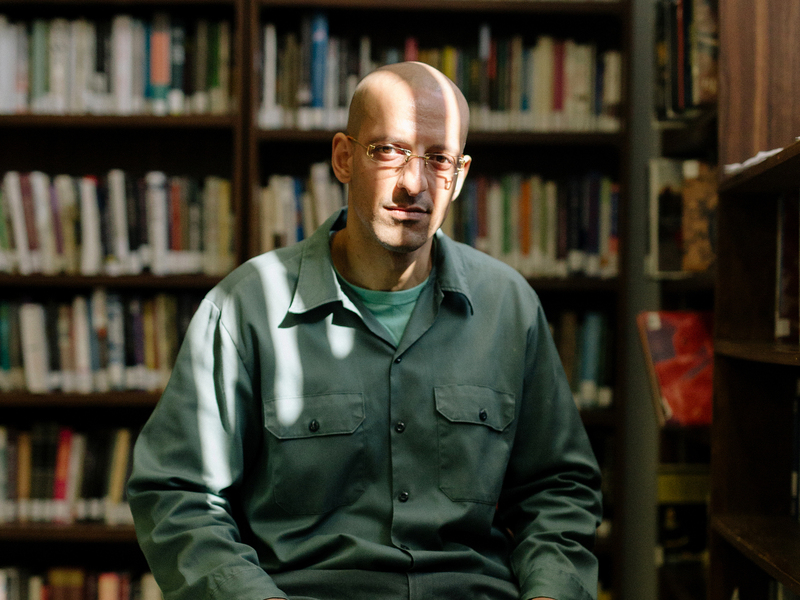 In 2015, Tatro was on a team of Bard student inmates who beat Harvard in a debate. Tatro is a math major with a 3.72 GPA. The 31-year-old has served 11 years for drug crimes and gang shootings — half of it at Eastern Correctional, which has become a desired destination among prisoners because of Bard. There is a photo of Tatro bowing and getting hugs from his teammates after winning the debate. I ask him how that moment felt. "It was just like: Whew! there&apos;s good things in the world, that the possibilities are out there," he says. "It allows you to dream in a different way." For Tatro the dream includes a career in cancer research and bioinformatics. When I ask him how he intends to break into a professional career, he says he hopes to lean on the tight network of other BPI grads before him. And, he says, "what I leave and go do also creates opportunities and prospects for the guys leaving here behind me." One of the people in his that network is Lavar Gibson, a BPI graduate and one of its interns now working in the financial division of the Ford Foundation in New York City. When Gibson was released two years ago, after 20 years in New York State&apos;s maximum security prison system, he had never used the Internet or a cellphone. Now, at age 38, he&apos;s finishing his degree, taking an online finance course at Cornell, and hoping to start a career in finance. If that seems like a long shot, it doesn&apos;t faze him. "It&apos;s always been the challenges that I&apos;ve gone for," he tells me. "Professors that people said, &apos;stay away from.&apos; Those are the professors that I wanted, the classes I wanted to take, because I believed they offered the opportunity for growth." Prison made a bookish man of Gibson. In the prison yards, his informal education started by reading books and learning from older inmates with similar interests. His new identity as a learned man did not help him at the law firm where he worked soon after his release. 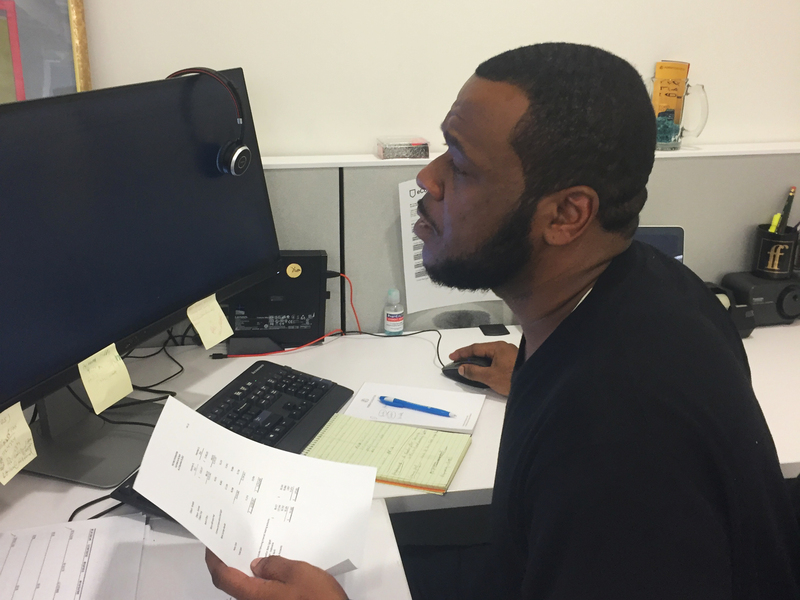 Coworkers treated him differently when they discovered he had been in prison. Even now, he says, family and friends struggle to accept he is a changed man. "It&apos;s easy to want to keep somebody at a certain place," he explains. "People do it with their children every day. And their children change and they grow, and they become. And if you can&apos;t appreciate that change, you really can&apos;t appreciate life, but that&apos;s life."